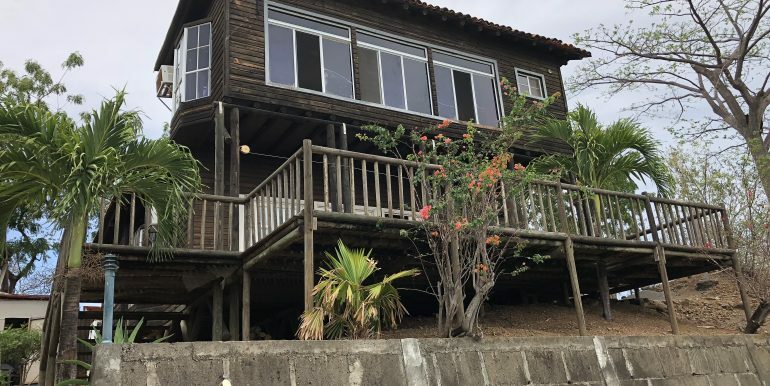 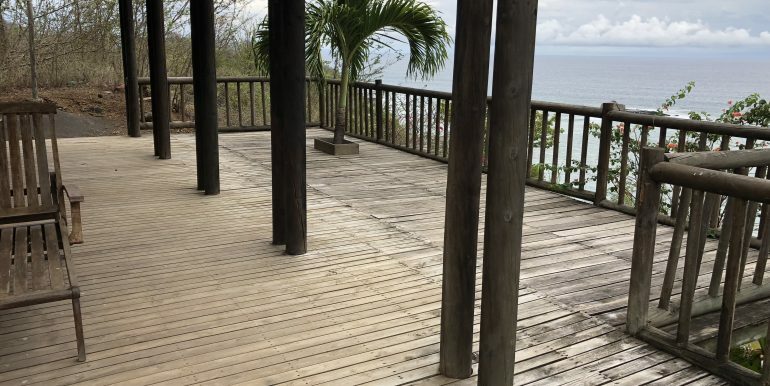 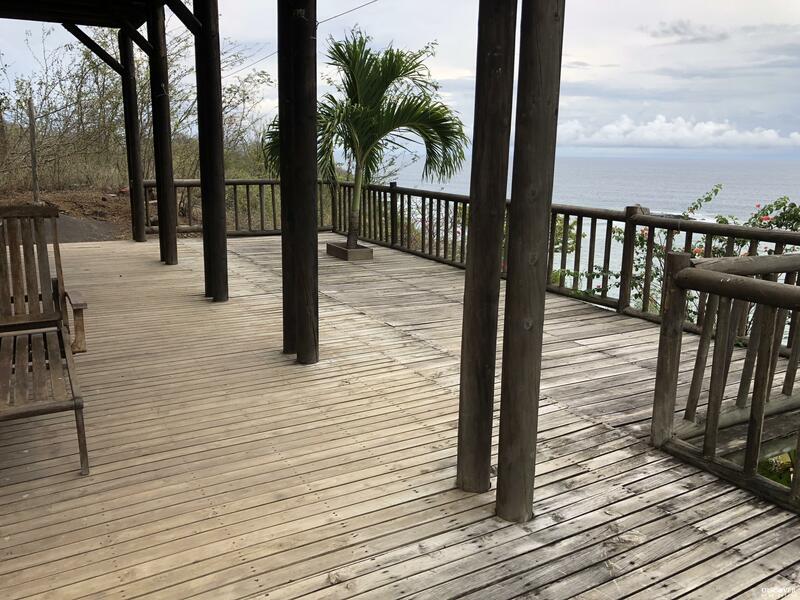 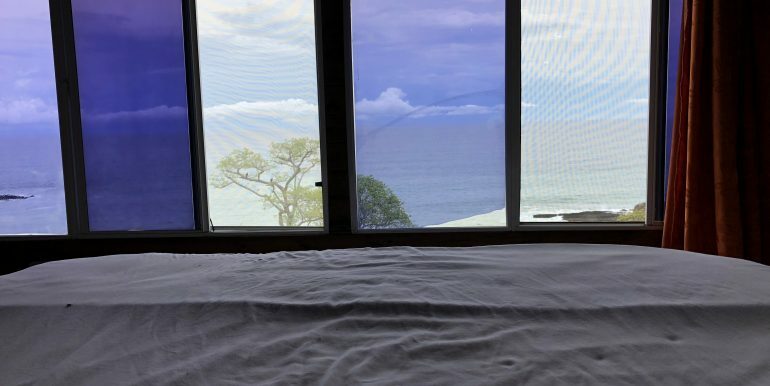 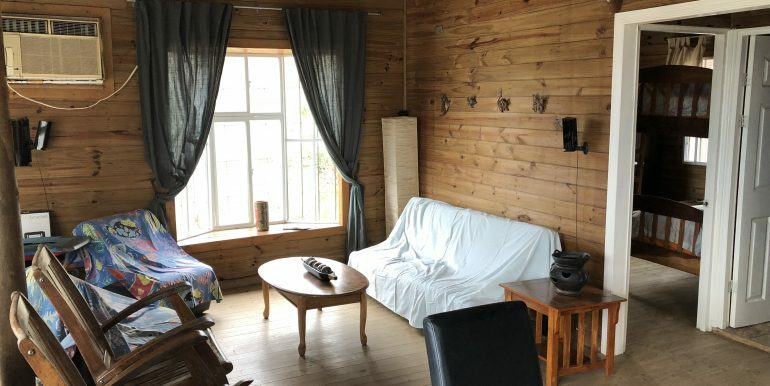 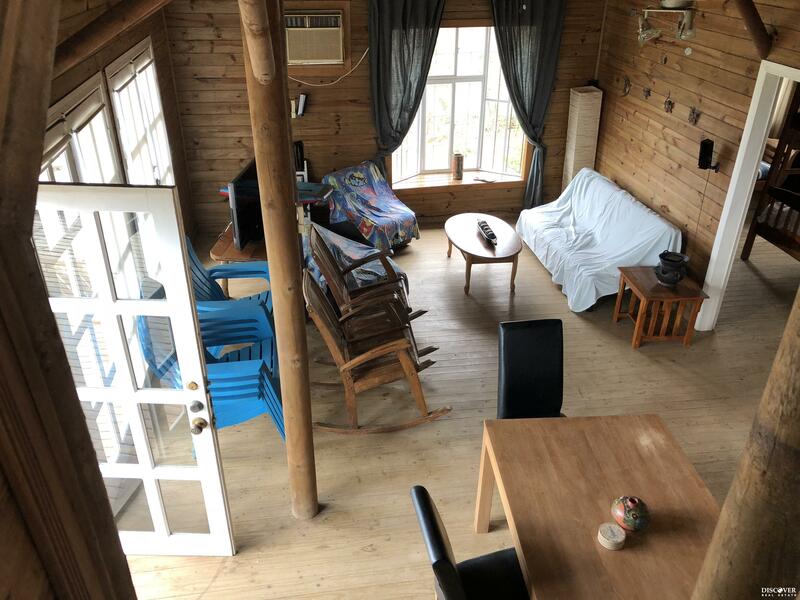 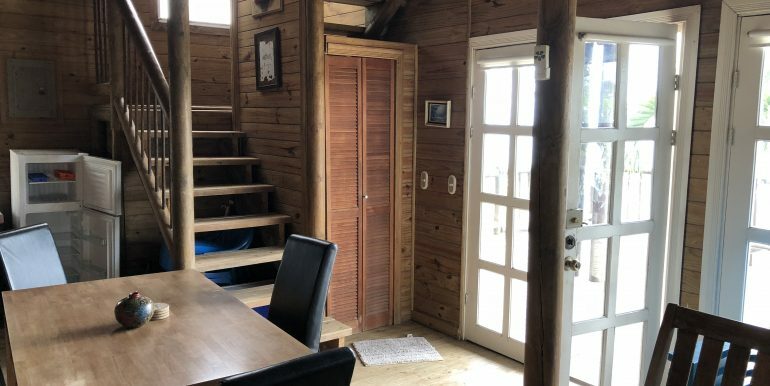 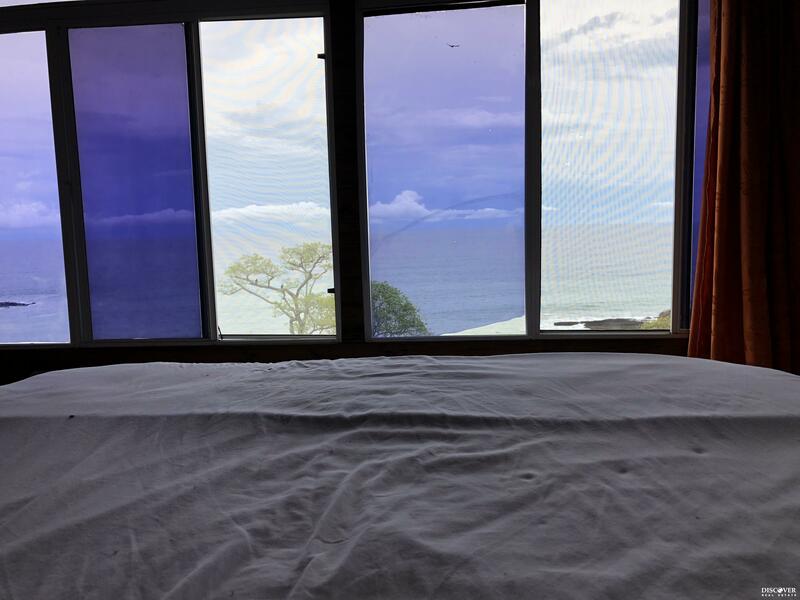 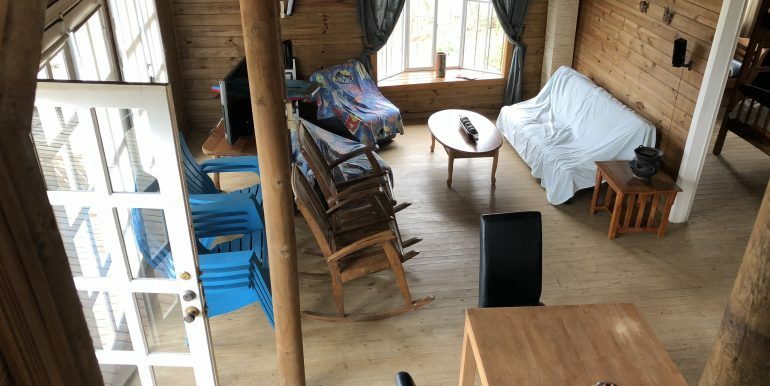 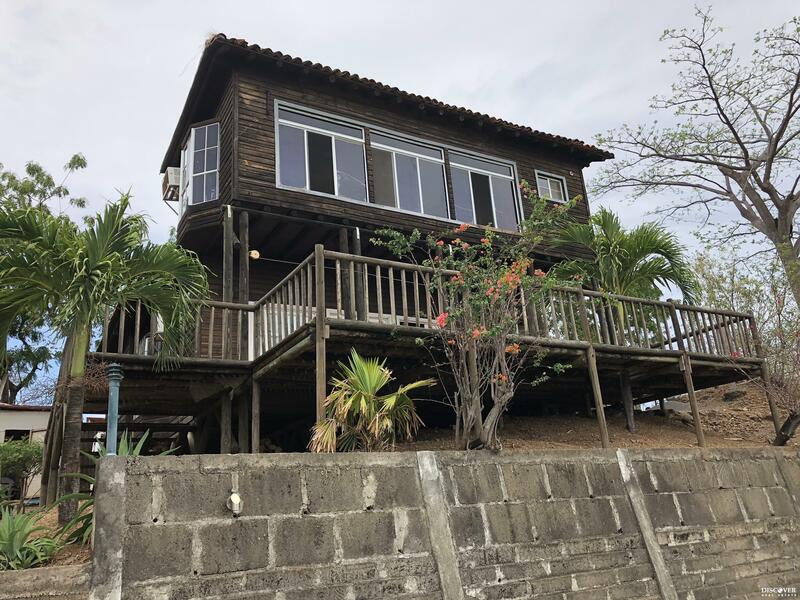 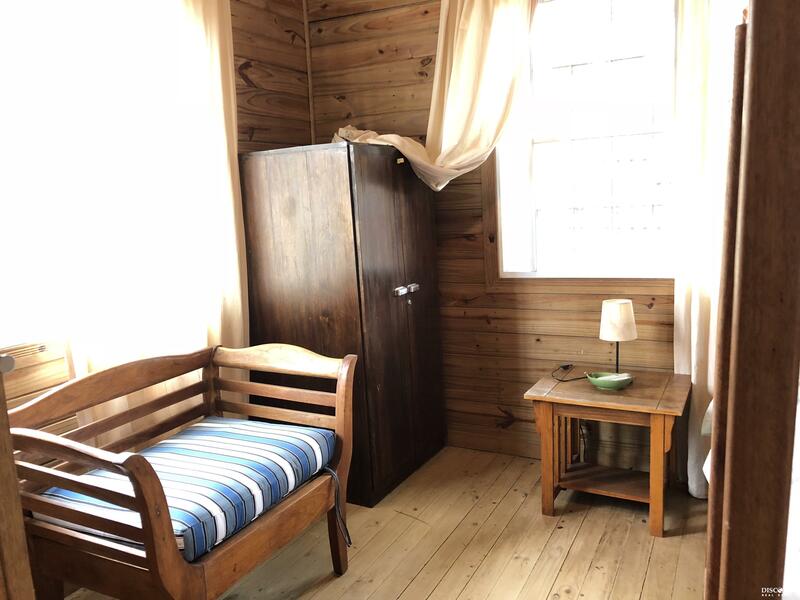 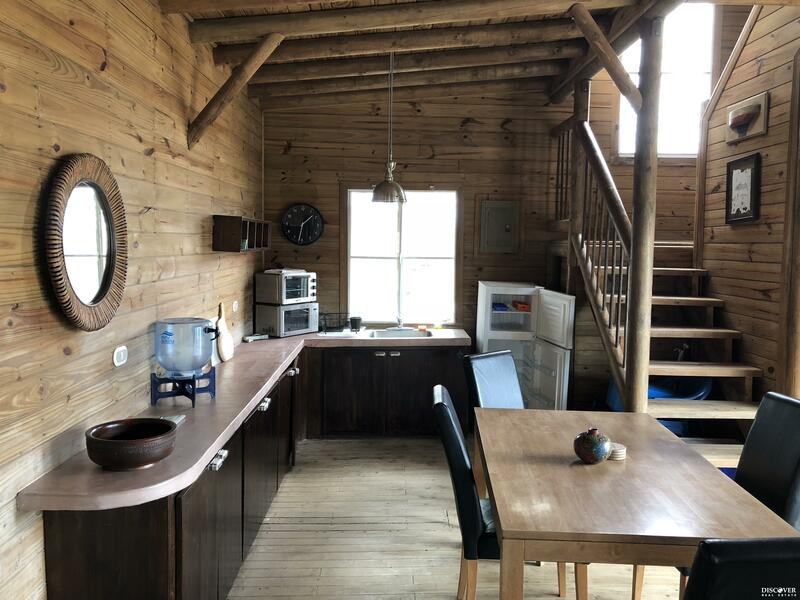 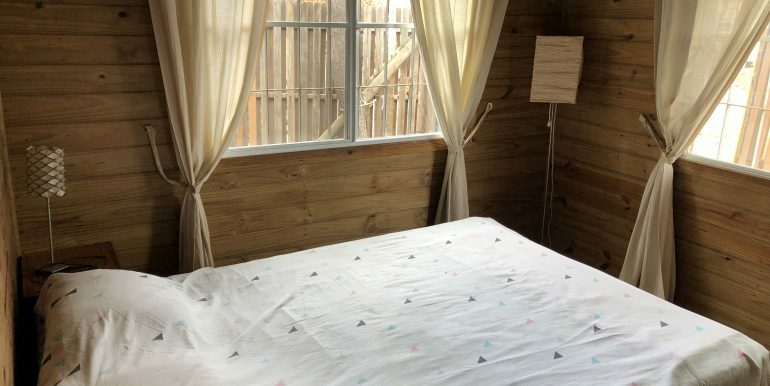 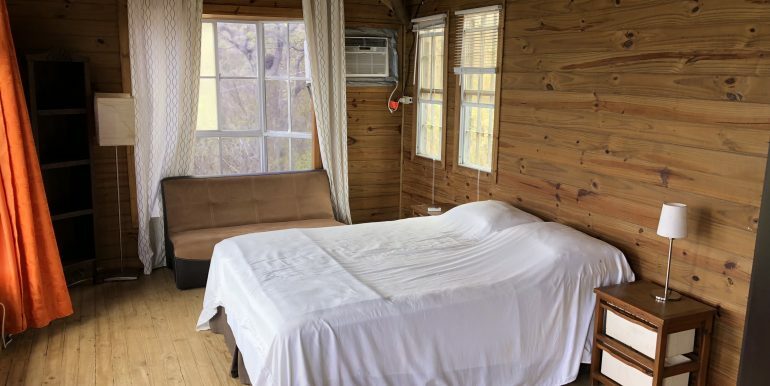 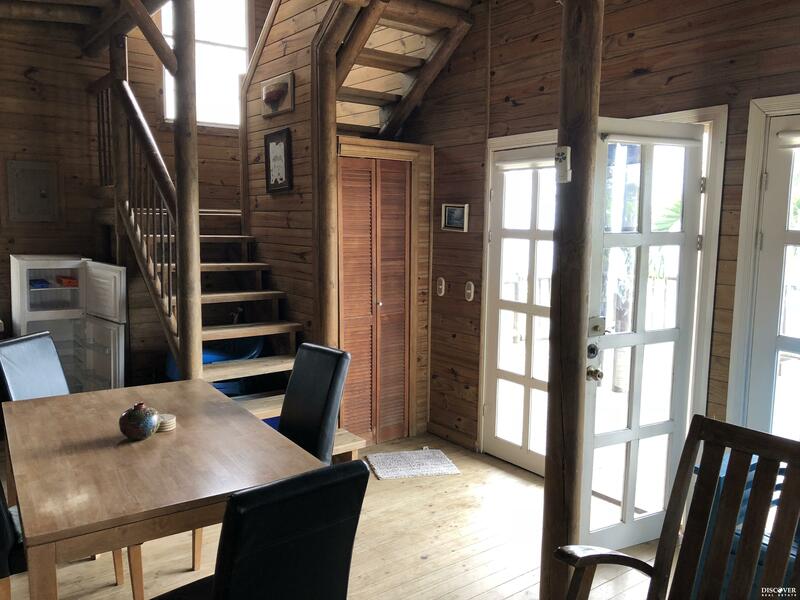 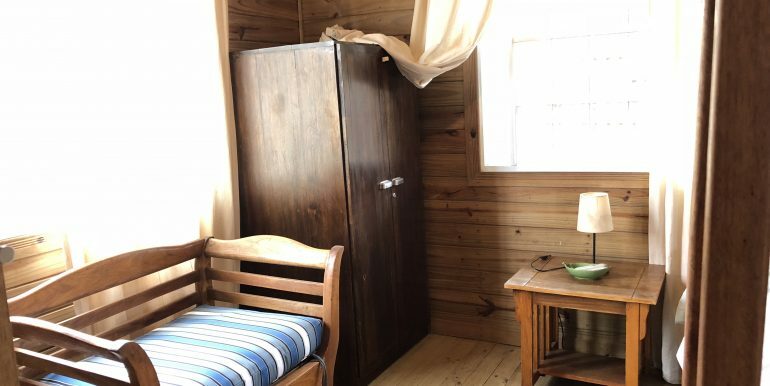 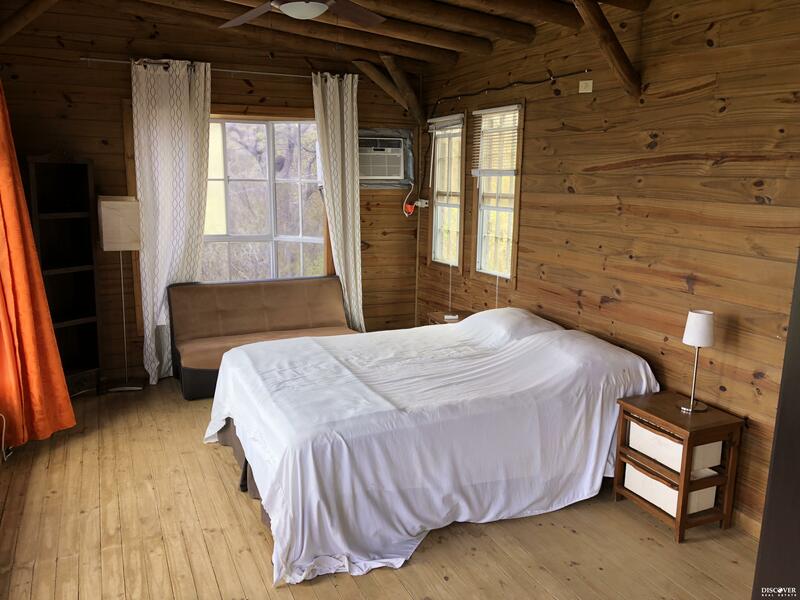 Set on a low bluff overlooking the vast Pacific Ocean yet close enough to hear the surf, Casa Bella Vista is a charming and rustic, all wooden house, perfect for a relaxing getaway. 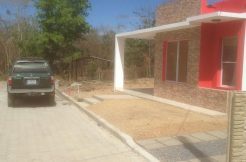 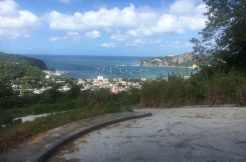 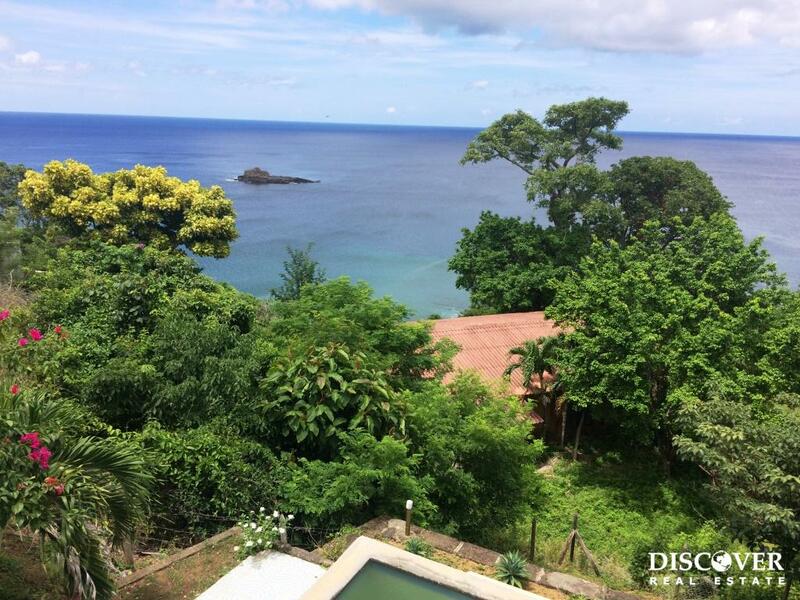 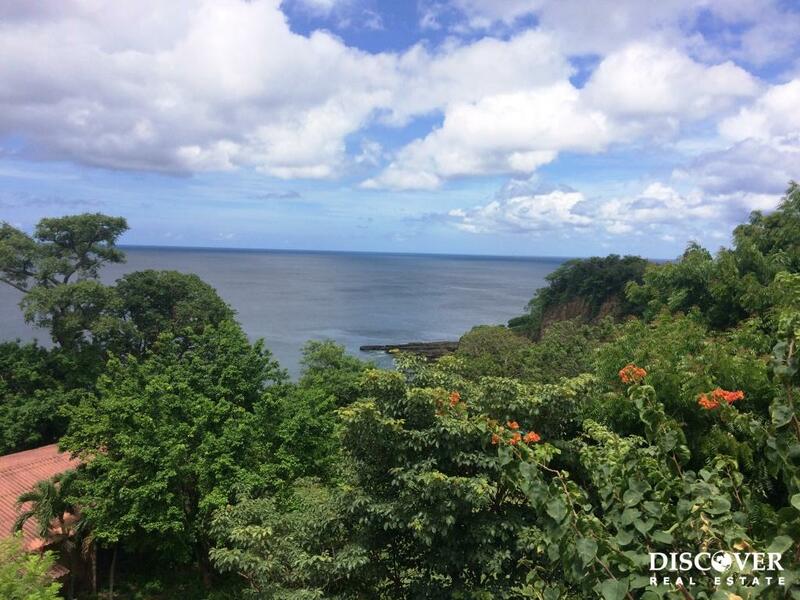 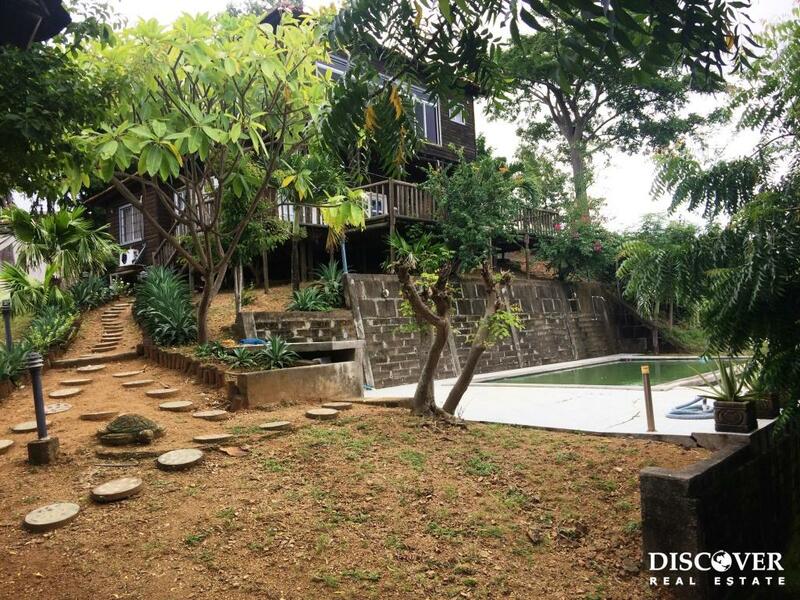 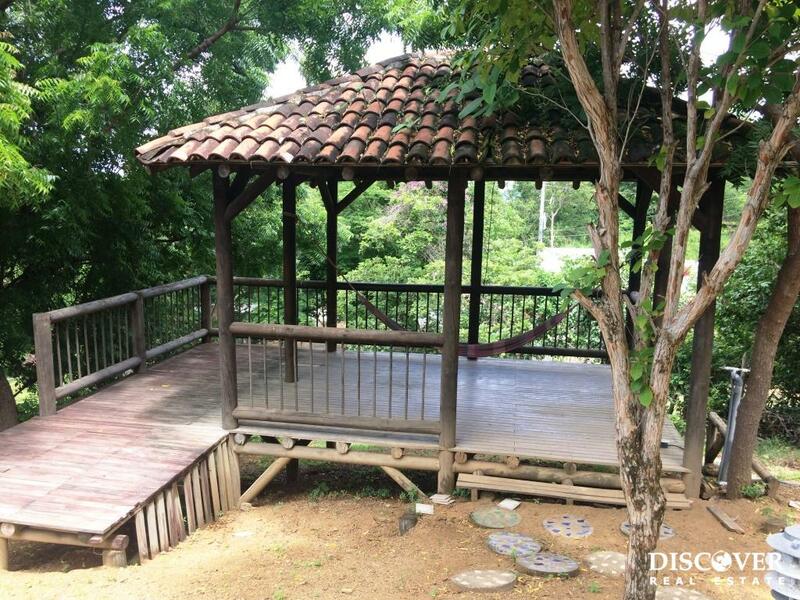 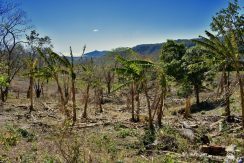 It is conveniently located 9 km and less than 20 minutes from downtown San Juan del Sur. 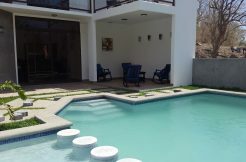 Perched between two beautiful beaches, Casa Bella Vista is just a short hop to both Playa Maderas and Playa Marsella. 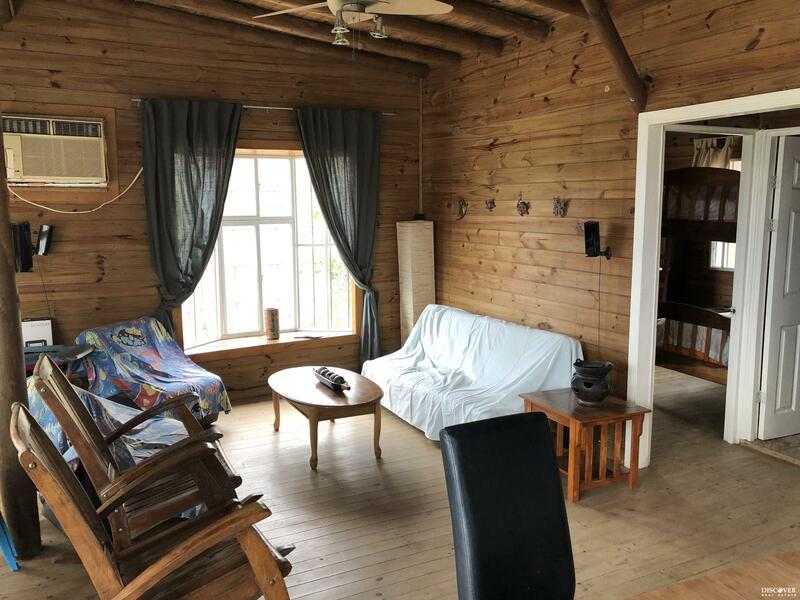 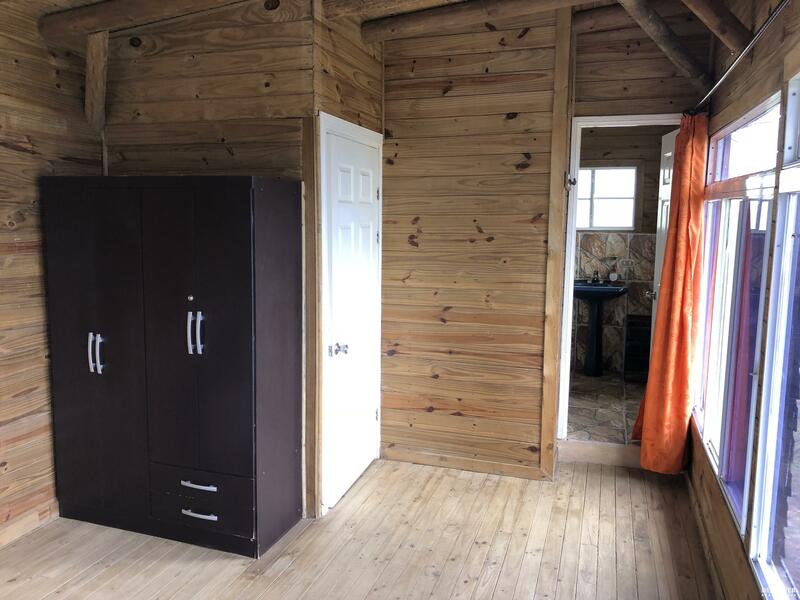 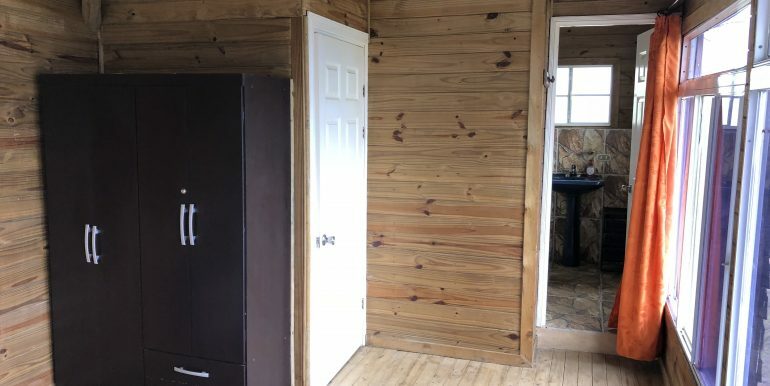 The spacious downstairs offers a comfortable living area complete with a flat screen TV (for Blu-Ray/DVD discs only), Blu-Ray home theater system, air conditioning, and ceiling fans. 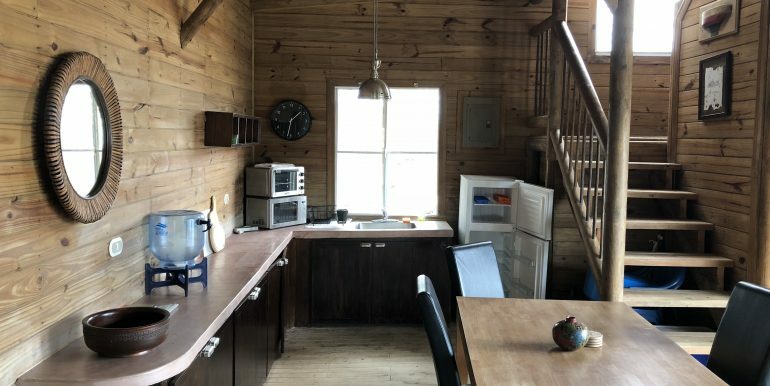 An adjacent dining area along with a cozy kitchenette is ideal for preparing quick meals while soaking in a spectacular sunset. 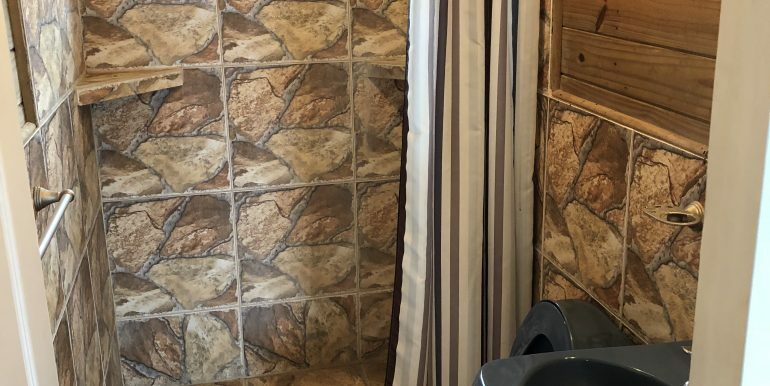 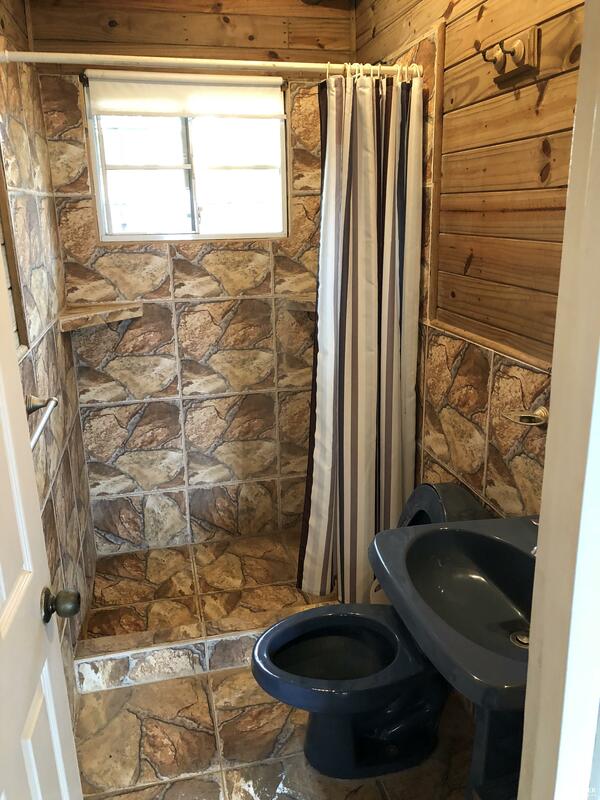 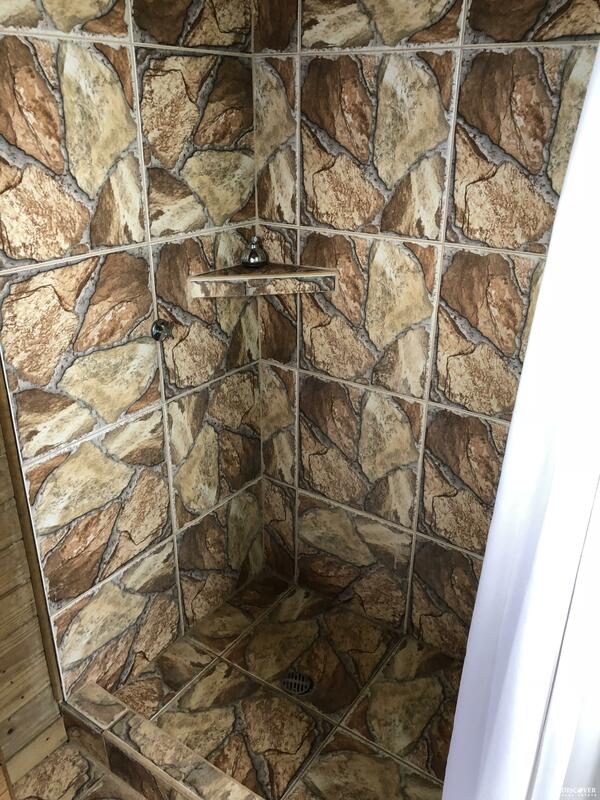 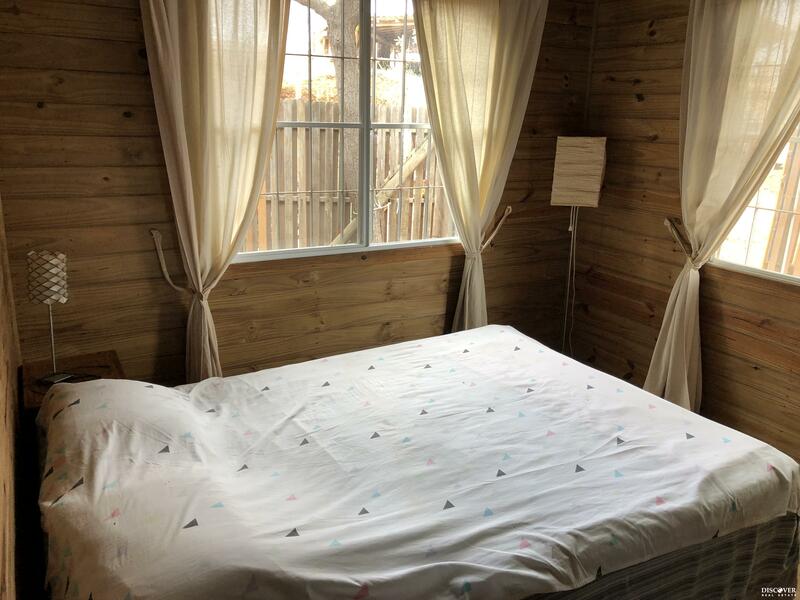 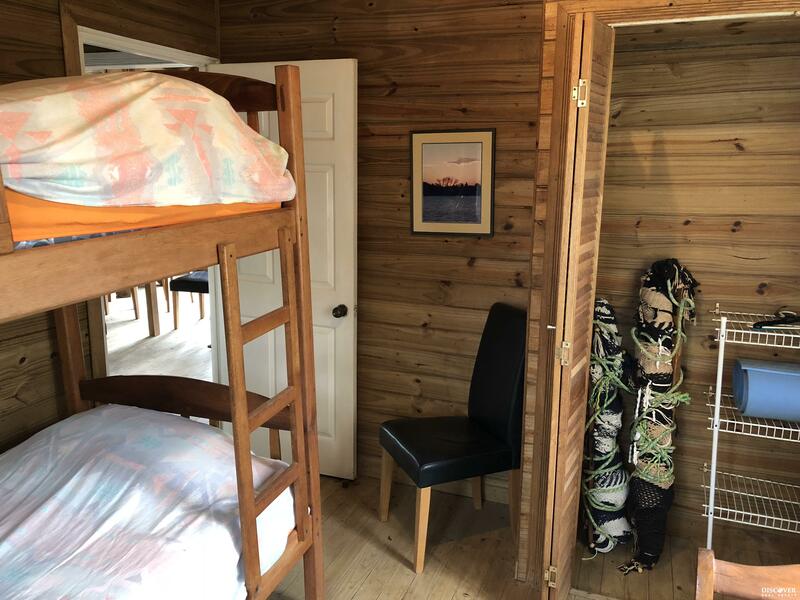 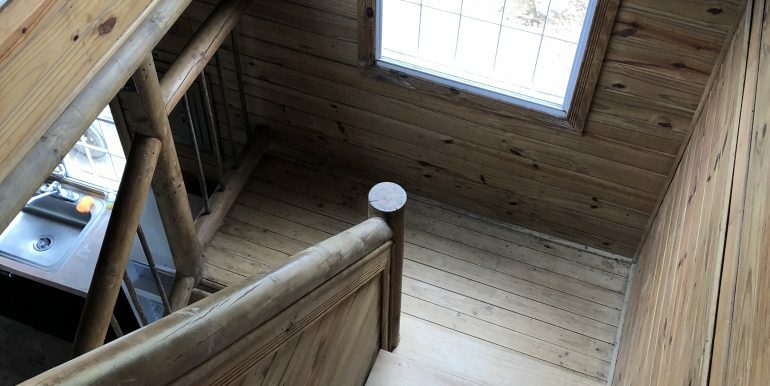 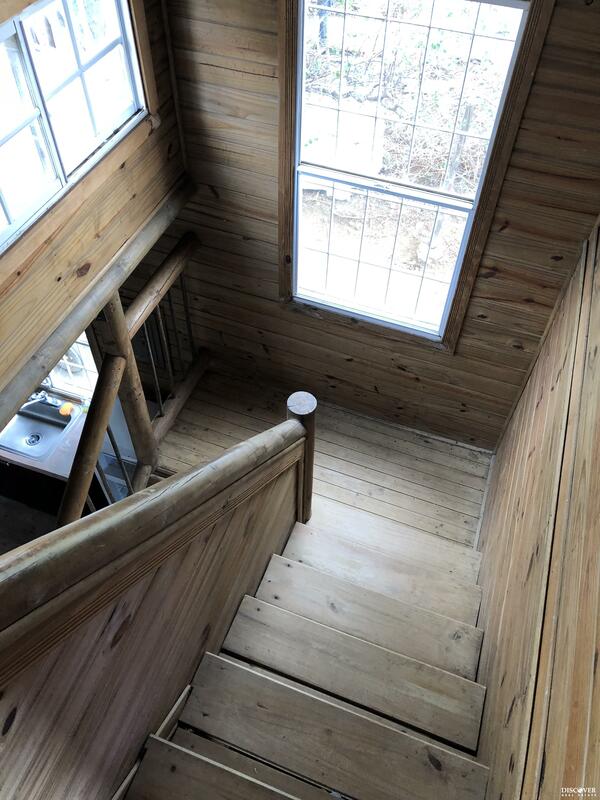 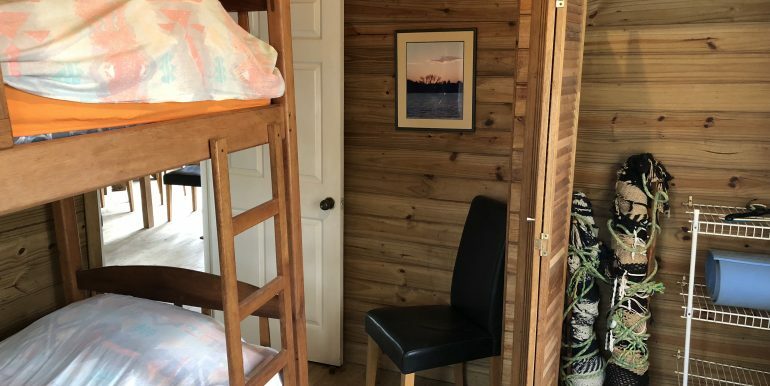 Bathrooms are located just off each of the air-conditioned downstairs bedrooms, the first of which offers a queen bed and the second featuring bunks. 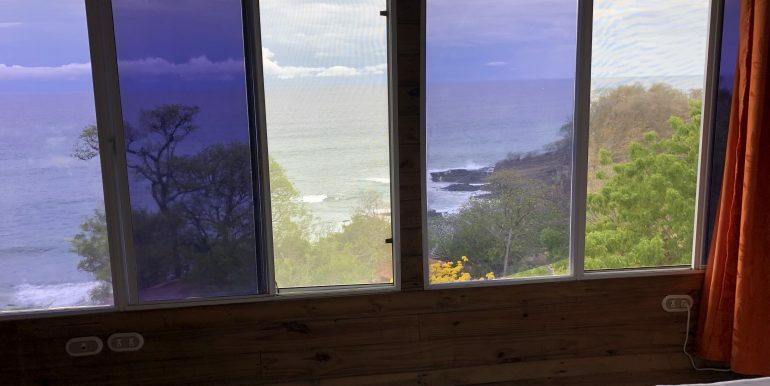 The entire second floor is the master bedroom, providing stunning views of the ocean and south to Marsella Beach from its many west-facing windows. 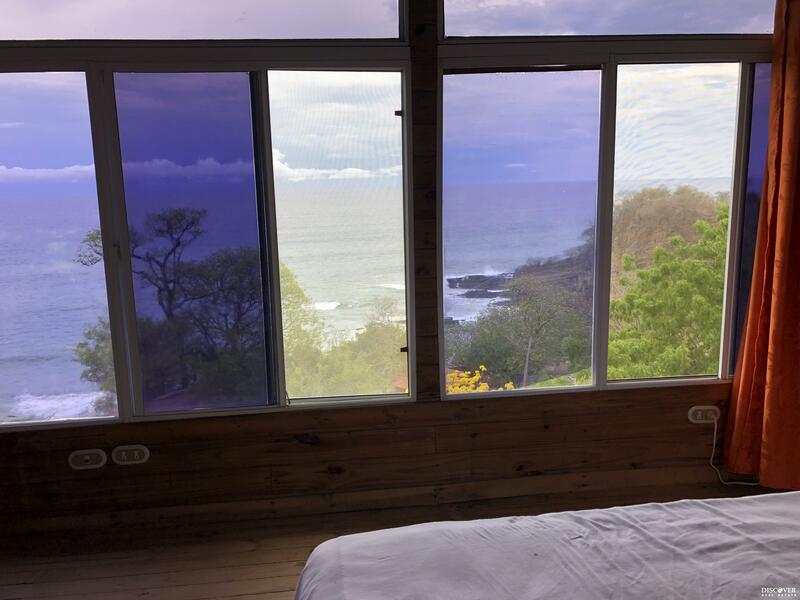 A queen bed, air conditioner, stereo, and private bathroom make the master the ideal place to get lost in the blue waters of the Pacific. 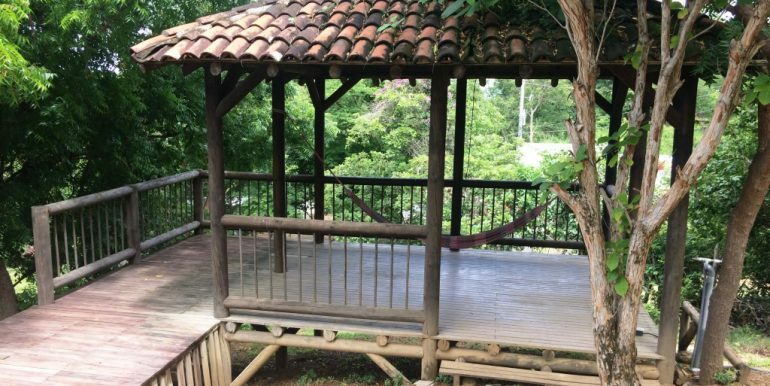 Heading outside, a shaded gazebo is perfect for yoga, and private pool await just steps from the front door. 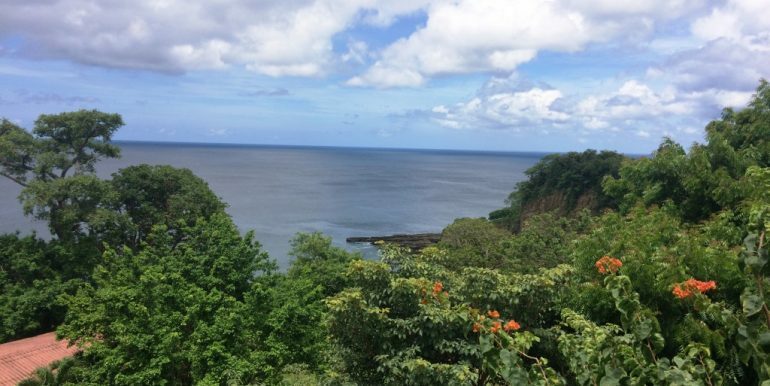 Enjoy the panoramic ocean views and Nicaragua’s tropical ocean breezes while sipping on a cocktail in a chaise lounge or rocking chair. 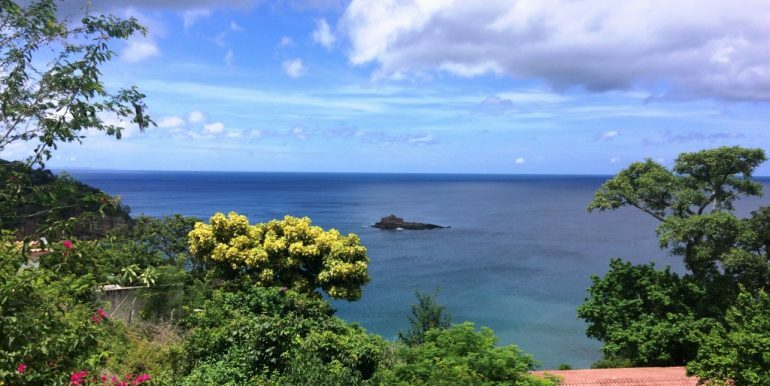 Watch for hawks circling in the open sky and listen for monkeys in the trees nearby. 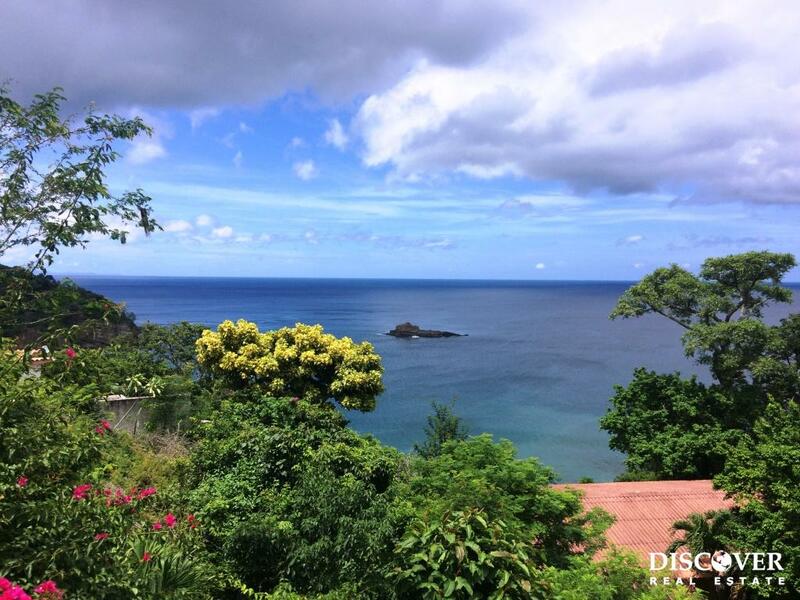 The most incredible sunsets and vibrant starry night skies are other sights not to be missed from this property. 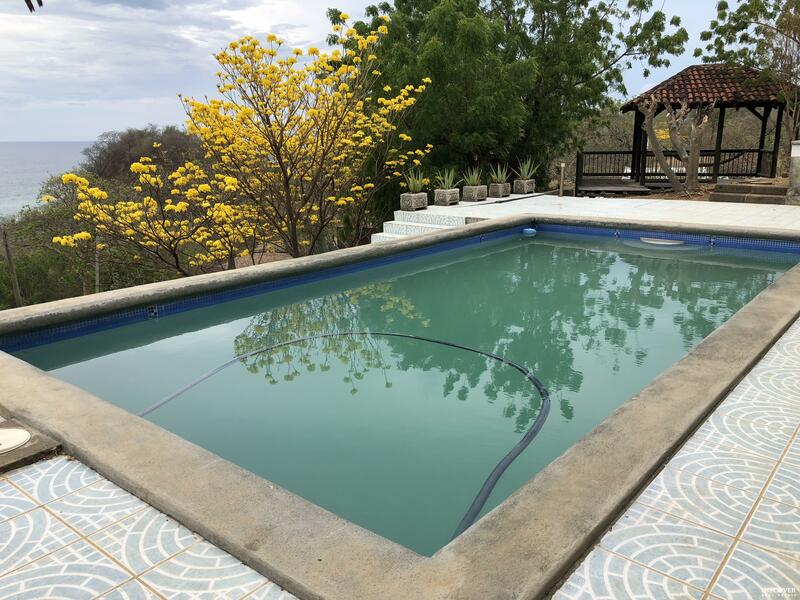 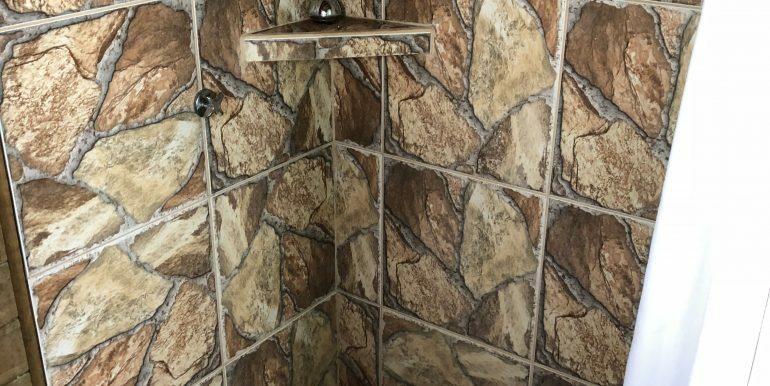 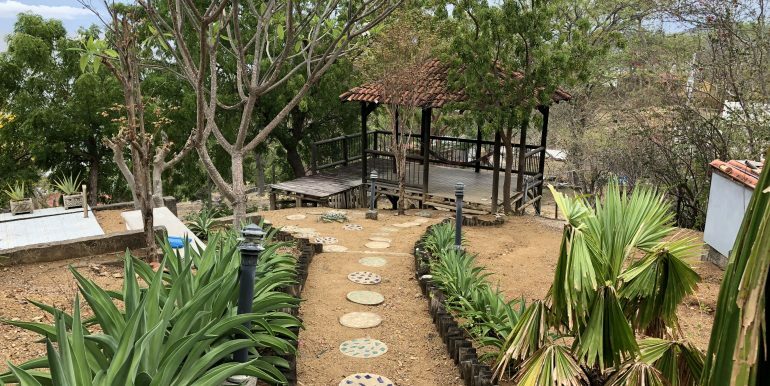 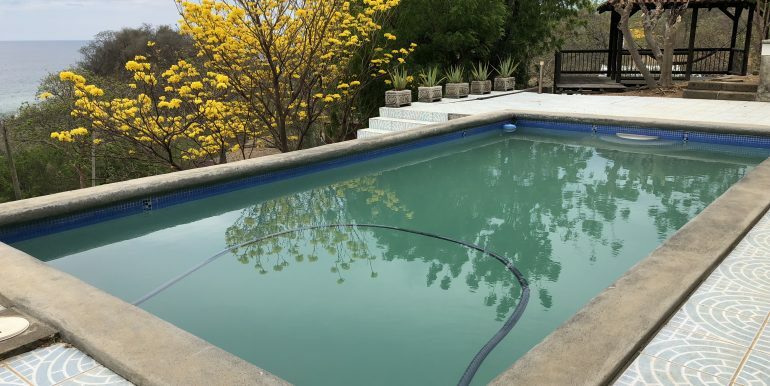 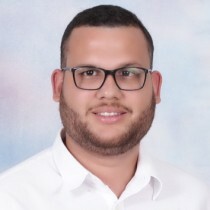 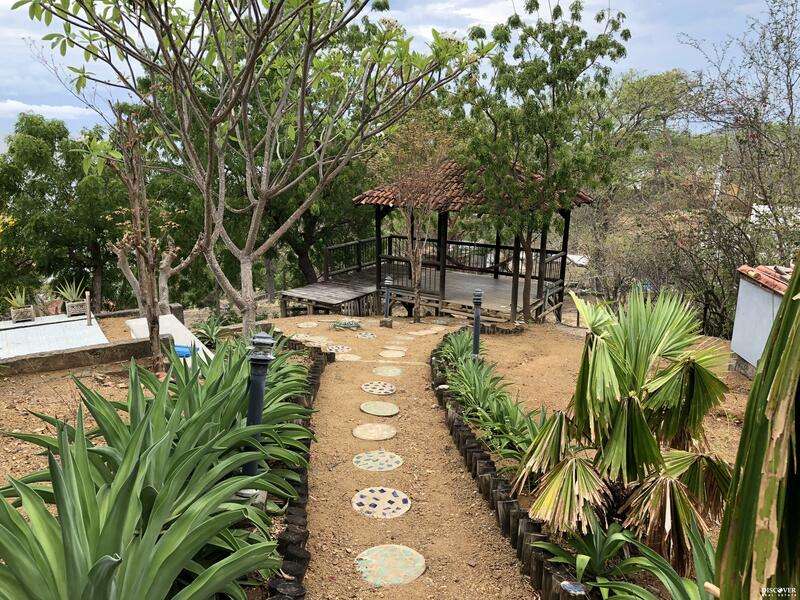 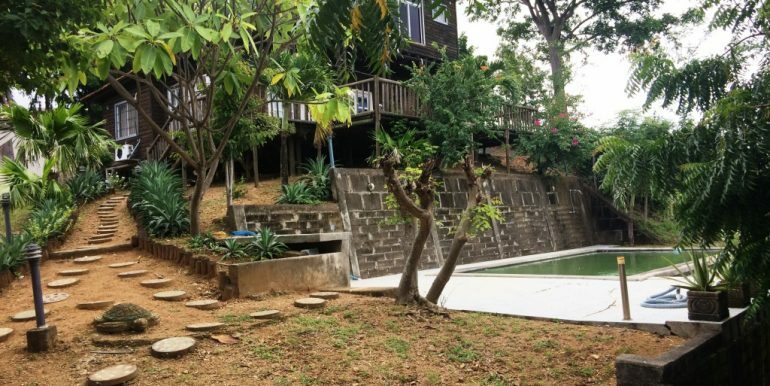 Casa Bella Vista is the perfect vacation rental property for your guests seeking a tranquil, secluded setting that is an easy jaunt to town for dining, shopping, and experiencing the warm Nicaraguan culture. 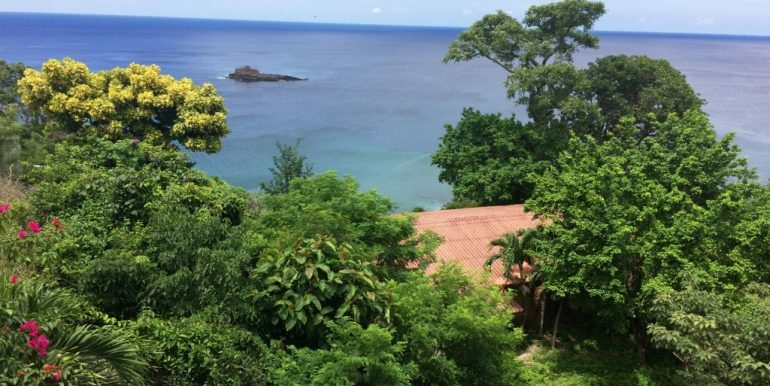 The breathtaking views and private pool will make for a vacation to remember forever.